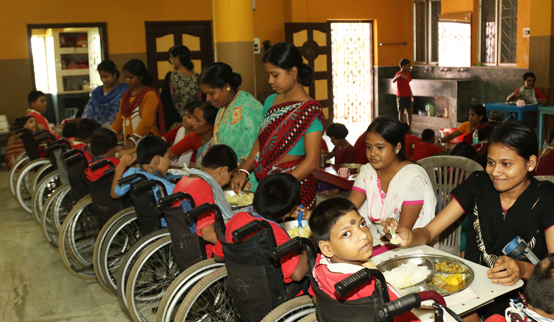 We put in our best efforts to take care of children, women and person with disabilities by providing Child Care Institution under the Juvenile Justice (care and protection of children) act, 2015, Nutritional Support, Special Educational, Medical services, Therapeutic Support, Aids & appliances, Vocational Training Empaneled of Trainer Agency of West Bengal Swarojgar Corporation Limited, Govt. of West Bengal Undertaking and Community Based Rehabilitation Program as well as inclusive education non-formal education, Rehabilitation Council of India approved D.Ed.Spl.Ed. 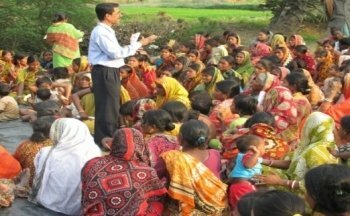 (MR) Course and “Disha” Early intervention and school readiness scheme and “Sohyagi” Care Associate Training Scheme, “Niramaya” Health Insurance scheme, “Badhte Kadam” Community Awareness and Innovative project scheme and “State Nodal Agency Centre” (SNAC) West Bengal under The National Trust. 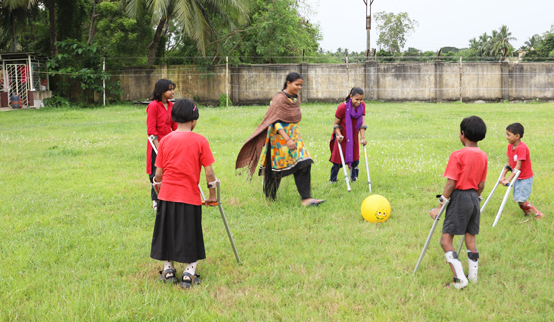 We also run a Special School for Mental Retardation Children with Disabilities under Deendayal Disabled Rehabilitation Scheme under Ministry of Social Justice and Empowerment, Government of India. Referral and follow up services. Through this Les Amis Des Villages Du Tiers Monde (AVTM) supported project, we are providing nutritious and balanced foods that contain high protein, vitamin and fat to the malnourished children from the community. This project helps to get proper nutrition and prevent disabilities caused by malnutrition and other health related issues. 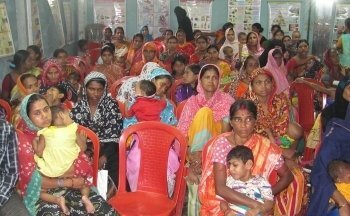 In response to the need of an intensive Child Care Institution (CCI) service in the district of south 24 Parganas Asha Bhavan centre started its 2nd CCI for 100 Girls Children With Special Need. With the skilled knowledge of the multidisciplinary professionals and individual programme planning we are trying to improve the quality of life for women with disabilities. 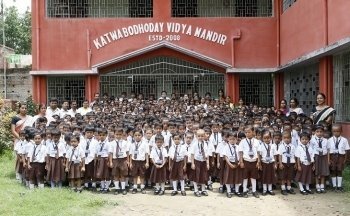 To impart English Medium education which is the present day need of the guardians in the urban and semi urban areas, we start ed an English medium school from the year 2015 , St. Teresa’s school by name, at Village Brindabanpur, Block Chandipur, Dist. Purba Medinipur. Till date 81 number of students got admission from different villages. In support of The National Trust (the autonomous body under the Ministery of Social Justics and Empowerment, Govt. 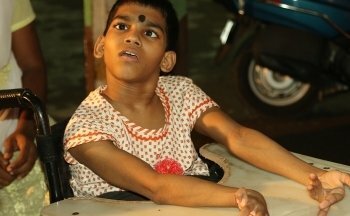 Of India) Asha Bhavan Centre is running the Disha Centres for early intervention for Person with Disability (PwD) in 0-10 years. We are covering the four categories of disabilities under the National Trust Act, through therapies, trainings and providing support to family members. Care Associate training centre namely Sahayogi Centre started with the support of The National Trust (the autonomous body under the Ministery of Social Justics and Empowerment, Govt. Of India). The aim of the centre is to provide training and create a skilled workforce of care associates to provide adequate and nurturing care for Person with Disabilities (PwD) and their families who require it. It also seeks to provide parents an opportunity to get trained in care giving if they so desire. Asha Bhavan Centre has been selected by National Trust Act, Government of India as State Nodal Agency Centre (SNAC), West Bengal. Through this, we will be able to reach more persons with disabilities in the state with a greater responsibility. We positively assume that this opportunity will open the various directions to work better for the welfare of Persons with Autism, Cerebral Palsy, Mental Retardation and Multiple Disabilities in the state.